Safe and substainable agriculture: with Gtp.agri you center the target! 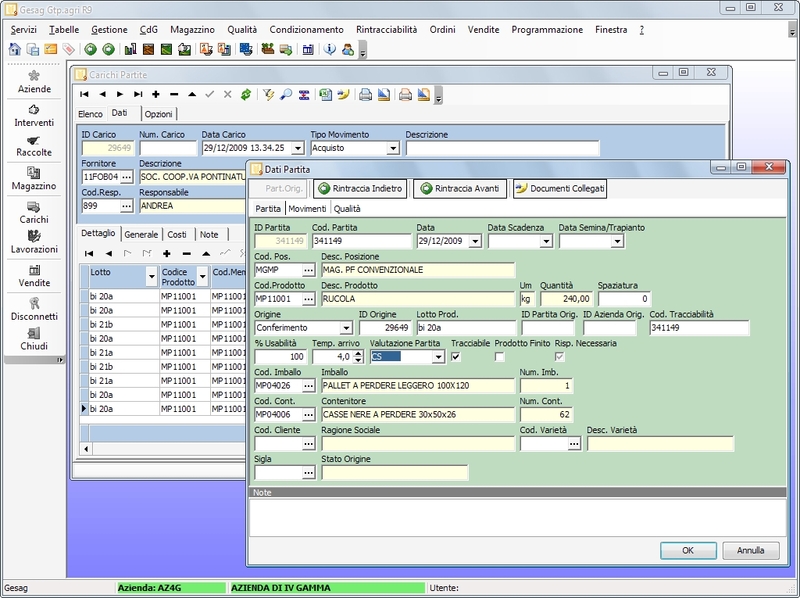 Software integration with other Gesag software solutions. 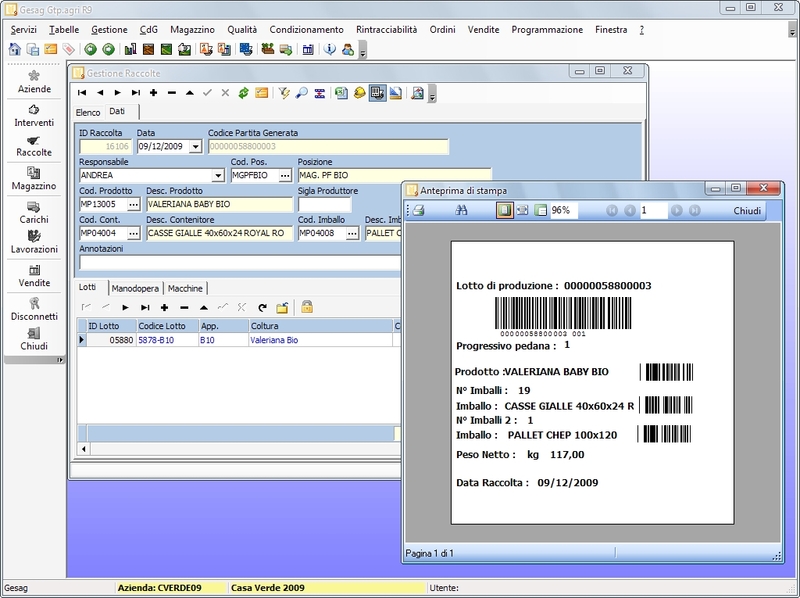 Gtp.agri is the new simple software solution for the agricultural and food industry. Nowadays agriculture can be said to be safer and more substainable due to the use of chemical products, tracking and a more conscious resource exploitation. 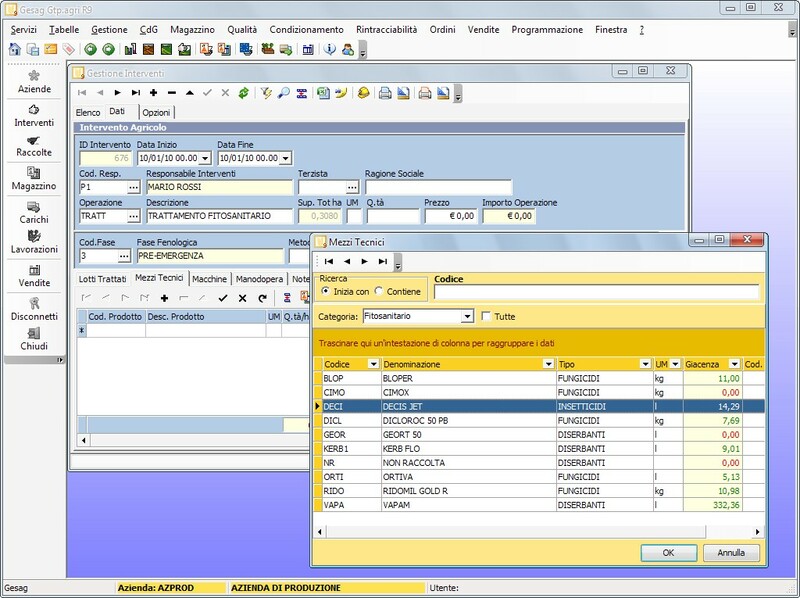 Gtp.agri automates the data acquisition process for an accurate reporting of the production cycle and allows therefore to account for the traceability of the product itself. Gtp.agri provides a suite of specific tracking tools that help provide all information required for the Good Agricultural Practice certification: you only need to match any agricultural intervention (like sowing, transplanting, harvesting or fertilizing) to a plot with the products that were used. The agricultural intervention reporting and the phitosanitary regulations can be consulted at any time, for any period and shown in different templates. 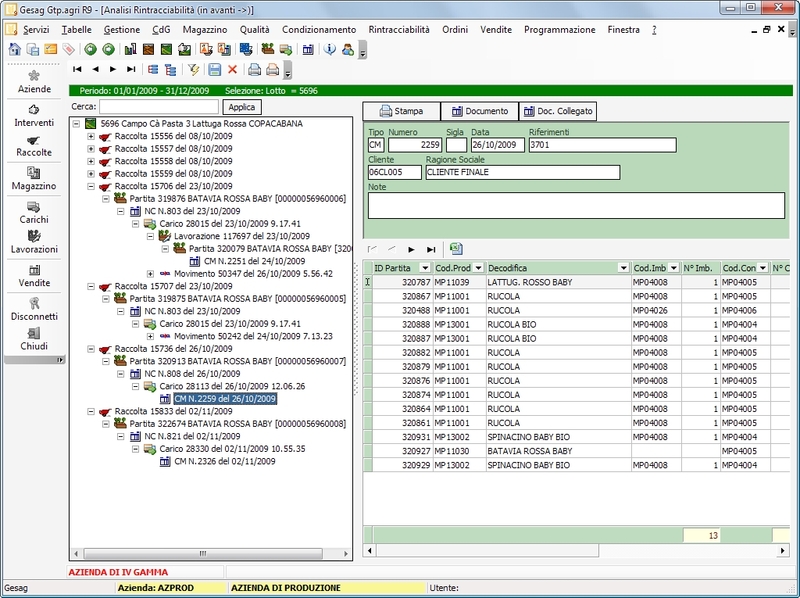 Product traceability is granted by a detailed reporting about cadastral information, area and crops associated to a plot. Harvest data and cultural planning, moreover, can be very useful in keeping control on the productiveness of the plots and in forecasting analysis. 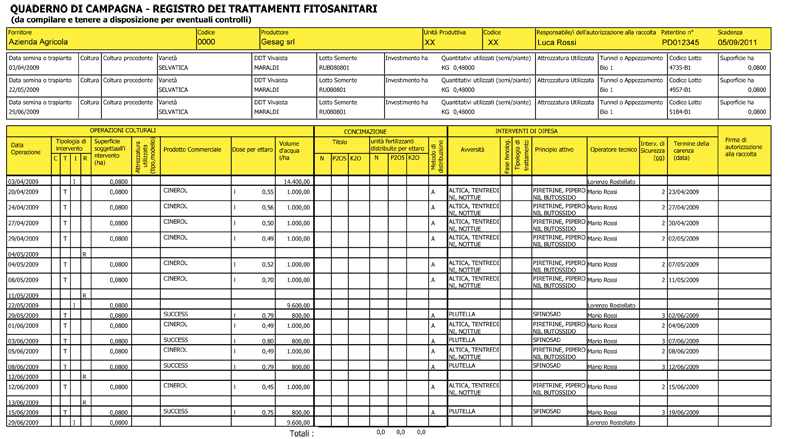 The Phitosanitary module is based on an up-to-date list of chemicals allowed in Italy according to specific phitosanitary measures. In this way it is possible to use chemicals properly and to avoid harvesting while the active ingredients may still be quite dangerous for your health. 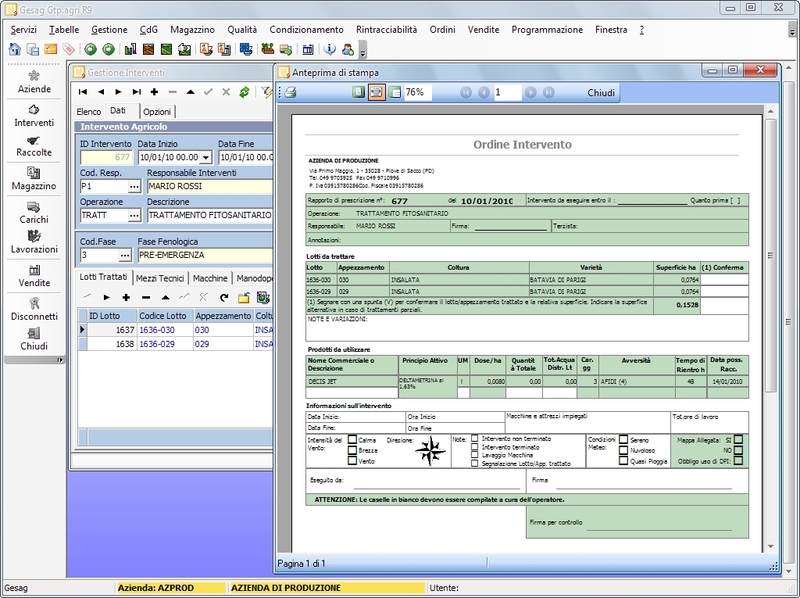 With its real-time options Gtp.agri is a solution for your warehouse which is second to none. Standard key features can be summed up as follows: stock status management, auto charge calculation and invoice, detailed movement history/archive, tracking and detailed stock and location reporting. Among the advanced features it’s worth to underline the strict relationship between warehouse stock and the amount of material to be used in the agricultural interventions, so that you will know any urgent order to be placed to your supplier. 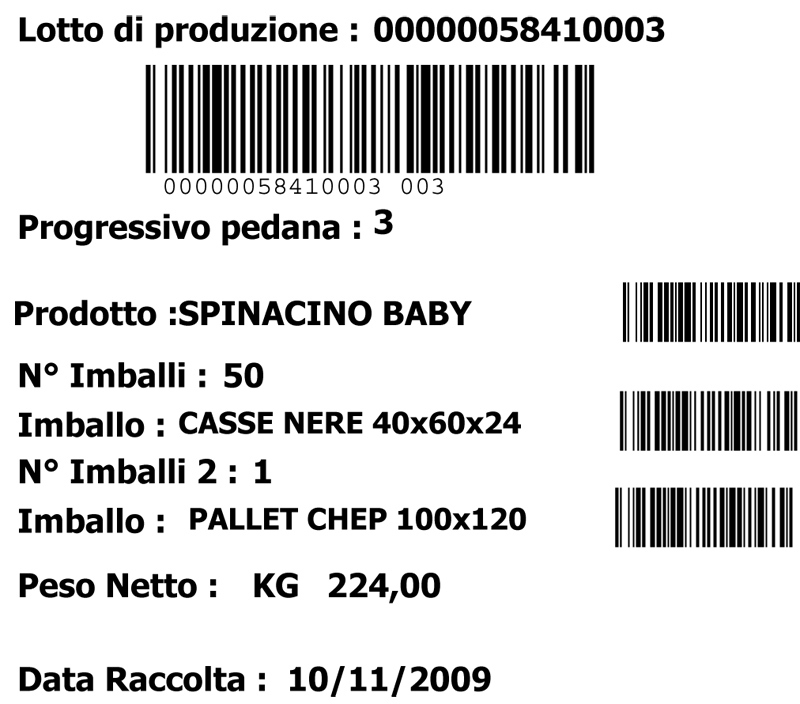 Moreover, the powerful packaging management is one of the strong points of our software: no more containers or pallets will be lost or left unpaid. 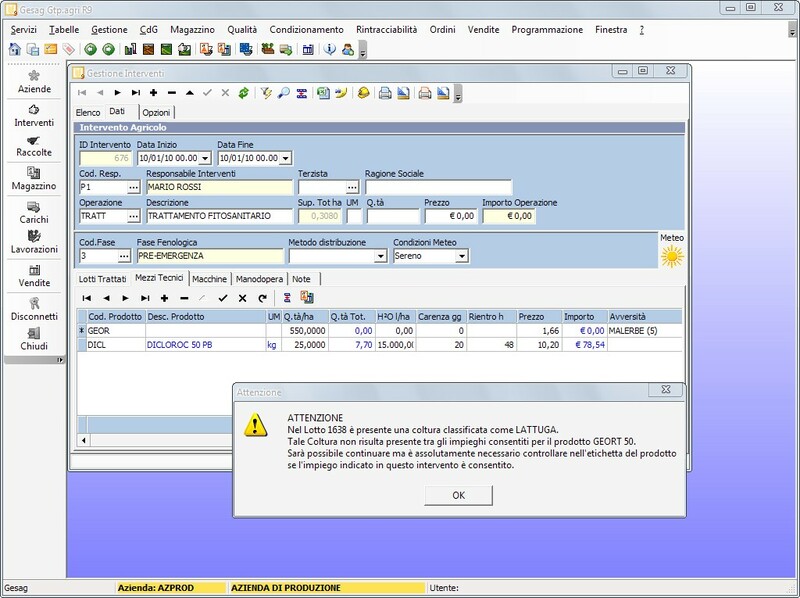 Thanks to our long-term experience in the horticultural field and the productive relationship with our customers we were able to tailor a powerful management control that was properly integrated with functions that could help automate daily activities (let’s think about procurement or product processing for example). 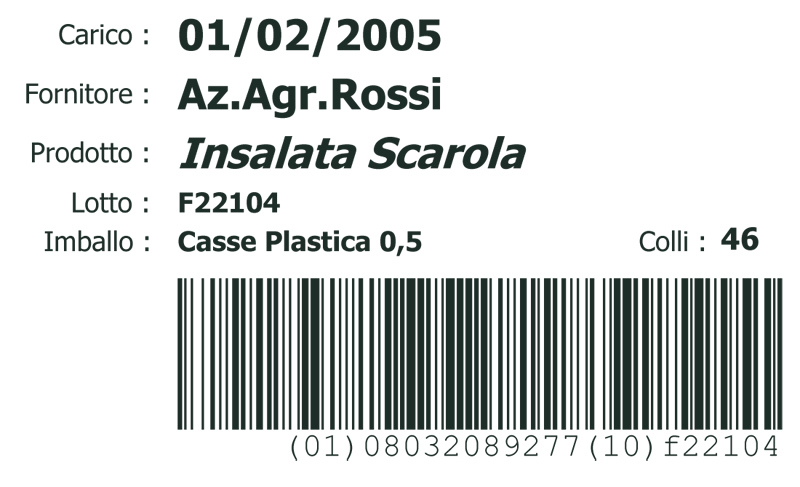 Management becomes even easier if you combine Gtp.agri with the new Gesag Gtp.TS integrated system to update data on-the-fly via wireless connection to the destination datasource using barcode and RFID identification thechniques. 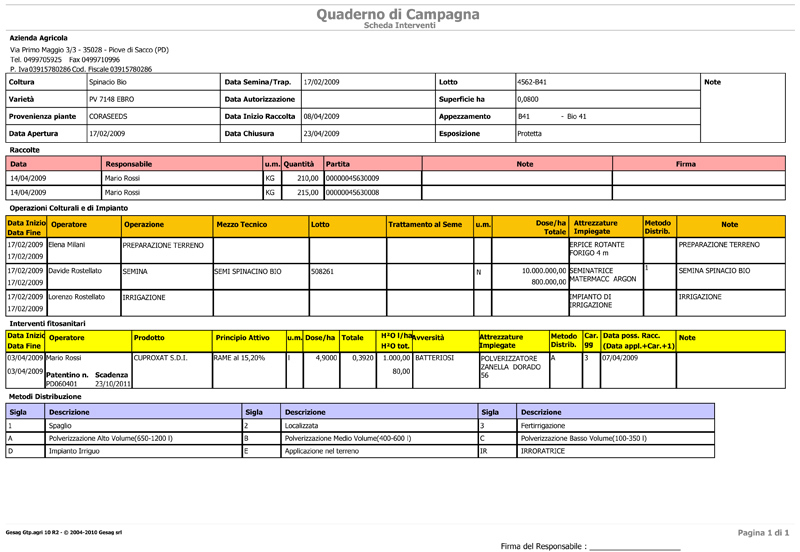 The Sales module has been thought to for the management of the external relationships of the company , covering all aspects of marketing: all information about clients and suppliers, freight bills and invoices, payments, order fulfilment and freight costs. Moreover, it is provided with powerful tools for quite important marketing and product analysis, like sales periodical reports, bill books and accounting. For the time being it is quite important to account for the quality of the products that are put on the market. For this reason quality control tools are based on two of the most meaningful Good Agricultural Practice standards, GLOBALGAP and TESCO NATURE’S CHOICE, both regulating the correct use of plant protection products through strict disciplinary measures. 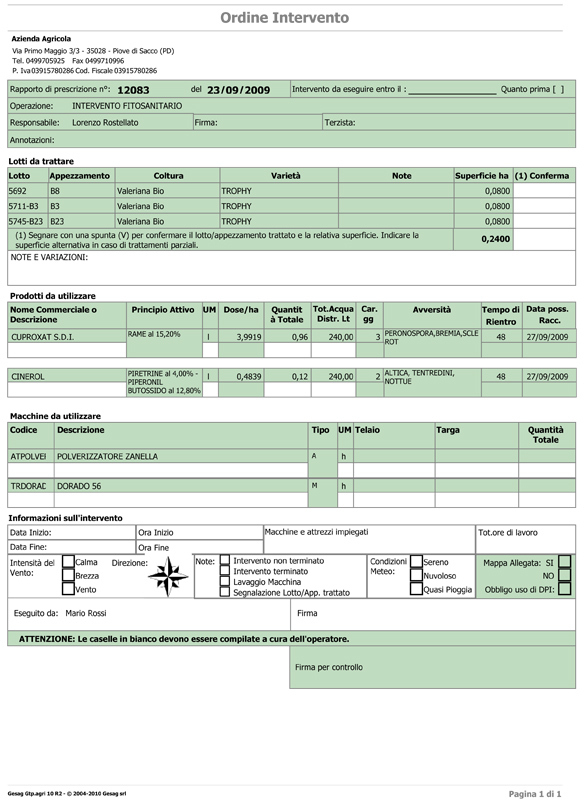 Additional functions are quite useful in managing required documentation for organic crops production, traceability or specific agricultural interventions. Planning plays a fundamental role in the company financial organization, especially for what concerns time optimization. Defining a harvest plan or a delivery plan not only improves the relationship with customers and suppliers but can make it more productive, arranging price and quantity beforehand. 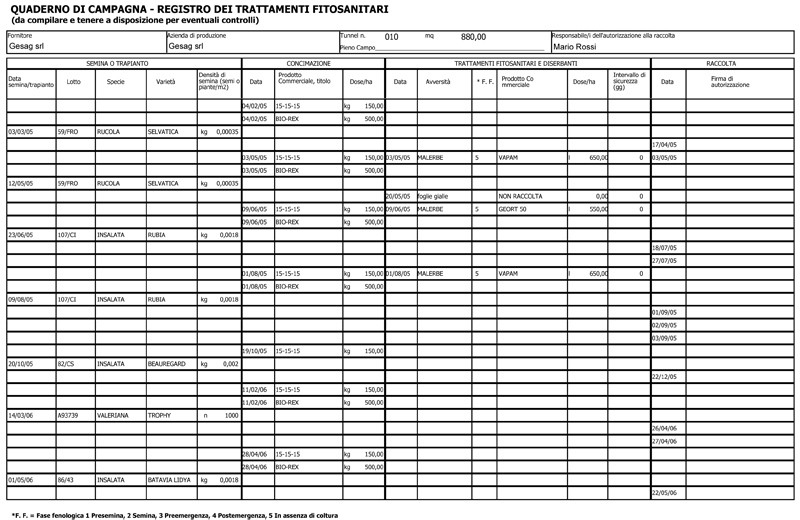 Gtp.agri can be easily used also by companies providing services to third parties (i.e. companies working in the horticultural industry), like technical consulting firms, cooperatives or farmer organizations. 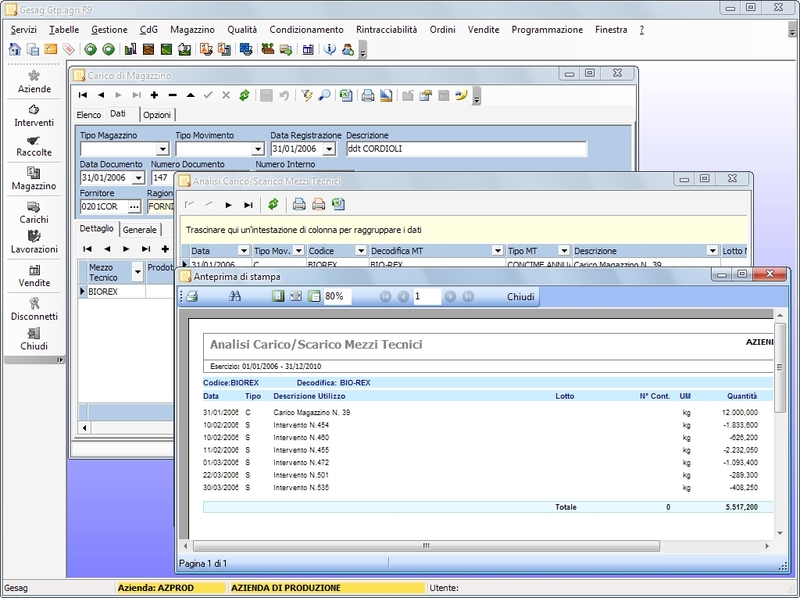 With the multiservice module it is possible to manage more than one company at a time using to same database. 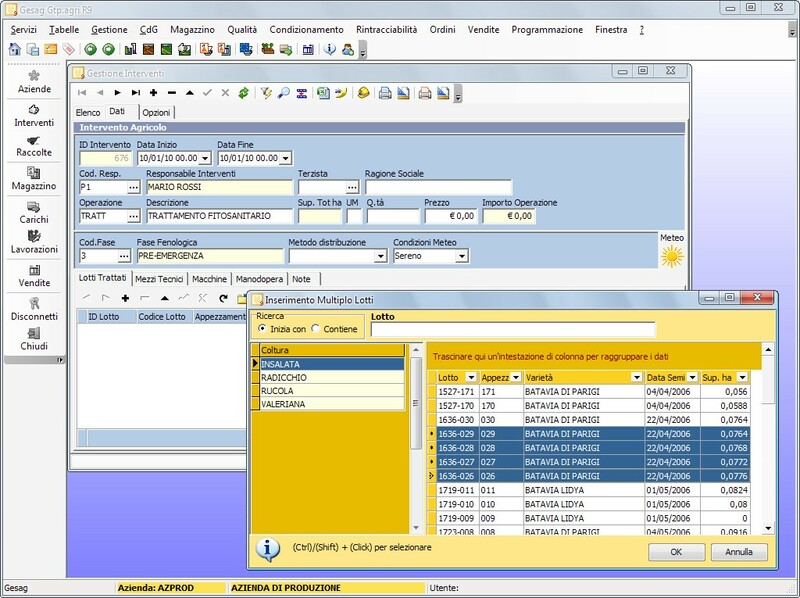 Softwares are often quite complex and difficult to work with, especially if you are not familiar with computers… On the contrary, Gesag Gtp.agri provides a simple and exhaustive tool to manage your farm day by day satisfying all your needs.